From Goodreads ~ In just two short years, Steve and Derek have cemented a place for themselves among the worlds most well-known and successful animal activists, accumulating hundreds of thousands of followers from all over the world. 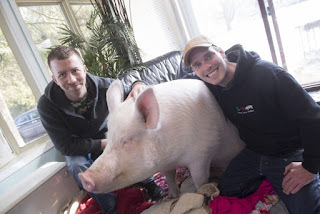 In 2014, Steve and Derek founded the Happily Ever Esther Farm Sanctuary in Campbellville, Ontario, where they continue to rescue and rehabilitate abandoned and abused farmed animals. Steve received a call from an old friend ... she had a mini pig that she was trying to find a home for because she couldn't keep her. Steve said he'd take the pig and his partner, Derek, named her Esther. Then they discovered that she wasn't a six month old "mini" pig at all ... she was, in fact, a six week old commercial pig, which means she should have been destined to be raised and butchered. Esther grew from being the size of a sneaker to over 650 pounds! 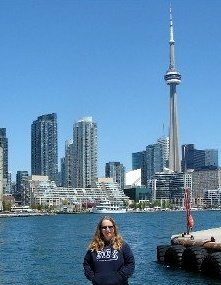 They tried to raise her as long as they could in their house in Georgetown, just outside of Toronto. They eventually bought a farm about 45km west of Toronto and opened the Happily Ever Esther Farm Sanctuary and take in animals that need homes. I enjoy reading books about animals and that's why this one caught my eye. I remember reading about Esther in the Toronto Star a couple years ago. I enjoyed this book. 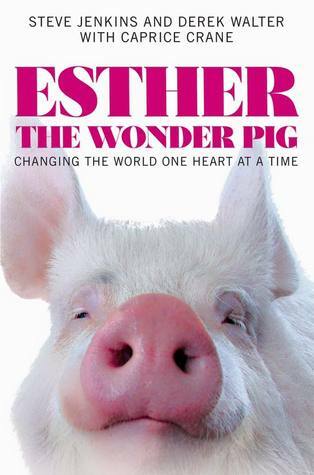 I didn't know a lot about pigs and Esther sounds adorable. It is written in first person perspective in Steve's voice. I liked the writing style ... it was funny and interesting. Because of their relationship with Esther, Steve and Derek have become vegan (and have included some recipes at the end of the book) but they aren't judgmental if you aren't. As a head's up, there is some swearing. I'd like to visit Esther and the sanctuary some day soon.